FindItMore | The best brands in the world as well as influencers all have one thing in common despite their vast backgrounds and niches – they have the necessary numbers of followers, enough to influence opinions and shape agendas in marketing and other sectors. As long as you own a business, that should be your major aim, particularly when looking at a long term agenda. The problem is that there is endless competition, and you will struggle to make yourself heard above all the noise around you. Nowhere is this more evident than on social media, when numerous brands seek to stamp their own identity and leave lasting impressions in the minds of their target audiences. Many brands are now turning to these platforms to market themselves, especially Instagram. The major way to make your brand competitive is producing content as often as possible, and as easily as possible (this also builds consistency). How do you navigate this world of Instagram marketing though? Here are some invaluable tools to help in the process. It is very easy to schedule your content releases with this platform, and it allows you to write your captions, attach all the media you want and schedule the post – all in advance. The best aspect of Hootsuite is its ability to post to your feed at the times you want and have scheduled, since Instagram itself allows the management of posts through third party tools. This has made scheduling much easier for many, especially considering the past when they did not allow such. In addition, the tool comes with metrics that can easily monitor the activity on your account, keep track of your followers and following list, and use analytics to measure the performance. At a glance, you can quickly examine how your posts are doing, and this allows you to change your strategy in case something in your approach is not working. It also allows your account to be managed by several other people at the same time, and assign some responsibilities and collaborations to them. This is mainly a growth platform that is useful for both influencers and brands. It gives you a more ‘white glove’ choice in dealing with engagement, because an assistant is assigned to you and they handle the growth of your account. They will mainly engage with the target audience on your behalf, and grow the profile organically to increase your reach. When signing up, you will give the details of the demographics you want to reach through the targeting options (they come with the tool). Every week afterwards, you will get reports that inform you how your account is performing. Among the most effective marketing strategies is when a consumer poses or takes a picture of a product or service they have used. The better they rate it, the more their followers will want to purchase the same product. Yotpo steps in to help brands with this strategy. Because it gathers posts that are relevant to your service or product, it will also give your visitors a ‘Shop now’ button, and allow the user to buy products that they like from their feed. If you have experienced problems trying to make your account more marketable, this tool is the perfect solution for that. One of the major challenges you can face when trying to increase your reach on Instagram is getting the relevant information to help you analyze whether your marketing efforts are effective enough. It is easy to see the engagement on each post because of comments and likes, but it is difficult and time consuming to sift through individual posts to track your engagement levels. That is where Iconosquare comes in. It gives you an easy solution – at a quick glance, you can see the analytics of your account and each post, track all the comments you have in your account, schedule posts and organize your content library. In addition, the tool also comes with an Instagram search engine, making it easier for you to reach out to influencers if you are considering working with them. It allows you to get any information regarding your account performance, even for specified posts and within specific periods. Similar to Hootsuite, it also allows you to schedule your posts in advance, and makes the job of publishing Instagram content so much easier for you. User generated content is among the best ways to maximize your brand’s reach on social media, and on Instagram as well. However, it may not be easy to get the content, or you may want to share some images of your product but you do not have the legal rights yet since it is owned by someone else. This tool steps in to solve that. It allows you to repost content, even while giving credit to the original poster (OP). You can also increase your brand awareness and make your account look interesting through reposting content from other sources (yes, even the humorous user generated content). Instagram is a visual platform, but that does not mean your photos and videos remain boring – you can add interesting typography to them. Through this tool, your content will stand out more and make your brand look unique, attracting a bigger segment of your target audience. You can use it easily. Simply type the text, then select ‘Save & Close’, and it gives you some options. It is just as convenient if you are operating from a mobile device, which adds to its advantage. Using tools to help you build your following are very important. 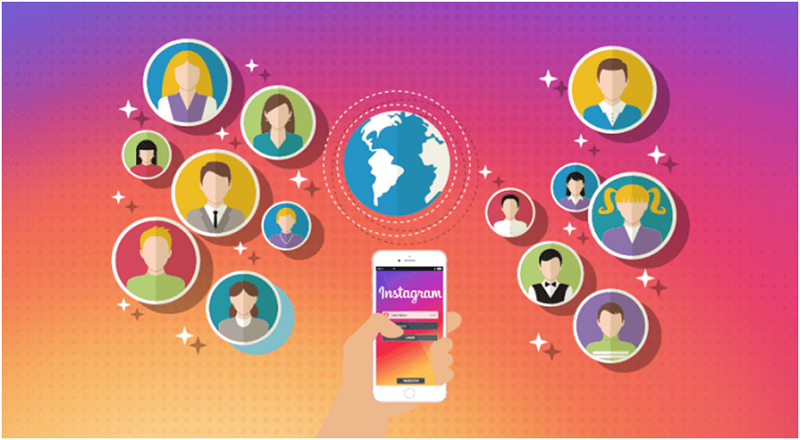 Aside from selecting a service that guarantees you automatic Instagram likes, these help you build an organic following that translates into higher sales and engagement – and that is a definite win for you. 5 Dangers of Social Media for Children And Tips On How Can You Save Them?